That’s the good word from American Horror Story cocreator Ryan Murphy, who announced on Tuesday that the coven of Miss Robichaux’s Academy will return at least once more in the show’s future seasons. Murphy divulged the exciting news on Tuesday, when he was honored with a star on the Hollywood Walk of Fame. 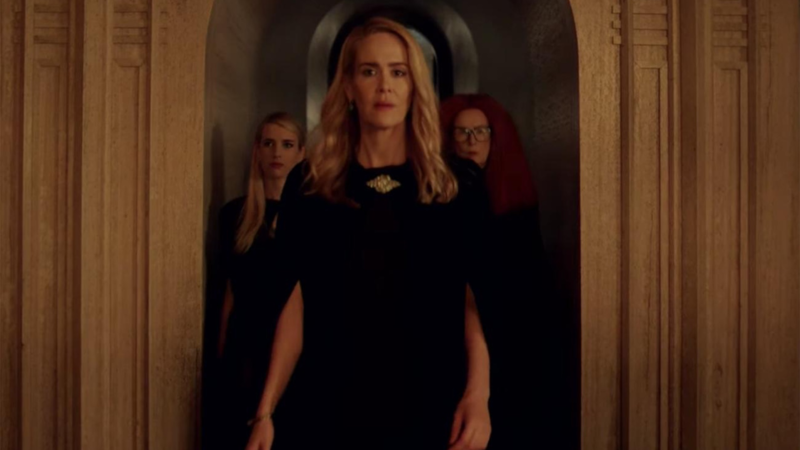 Those witches, as fans well know, consist of characters played impeccably by Sarah Paulson, Emma Roberts, Taissa Farmiga, Frances Conroy, Gabourey Sidibe, Lily Rabe and newcomer Billie Lourd. They were first aptly introduced in the third season of American Horror Story: Coven. Then, they popped up again (much to fans’ delight) in last season’s Apocalypse. During the season, the witches took on the Antichrist. Of course, it will be interesting to see how and in what capacity the witches come back — especially considering there were a few casualties during the delightfully dark and twisty Murder House-Coven crossover season. Plus, the finale saw Madison Montgomery (Roberts) banished to a personal hell. Will she fight her way back out? We know she’s got it in her, but it remains to be seen if that becomes a focus when the witches make their return to AHS. In August, the show was renewed through season 10, so there could definitely be some downtime before we see the coven again. But at least we know that, somewhere down the road, something wicked this way comes.